Panda the dog had been missing from her south side home for over seven months. 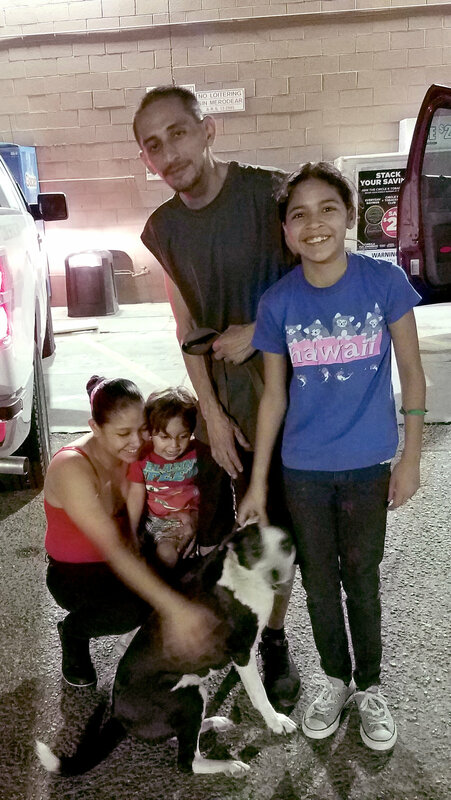 Her family had lost hope of ever finding her again, but this week Panda and family were reunited thanks to Marana Animal Services and a microchip. When Marana Animal Services picked up Panda at the convenience store on Cortaro Road, they assumed she had wandered off after getting scared on the Fourth of July. While fireworks were indeed the culprit, it was actually the New Year’s Eve fireworks that led to her becoming separated from her family seven months ago. Luckily, Panda had a microchip and Marana Animal Services was able to get in contact with the family and reunite her with her people. “It made my week,” said Marana Animal Control Officer Shane Elliott who had picked up Panda from the convenience store. Elliott was told by the family that they had given up hope of finding Panda and were surprised she turned up over 30 miles away from home. Marana Animal Services has been in place since July 2017 and has had great success reuniting families with their pets. During the first six months of operations, the division returned 47 percent of pets they picked up back to their families before reaching the shelter. Those numbers have remained consistent in the months following. “This is why we do what we do,” Elliott said. Panda was not the only successful reunification. Roxy the terrier-mix was lost in the Continental Ranch area. Marana Police Officers found the missing dog and were able to return her to her family in a tearful reunion at a local veterinary office.